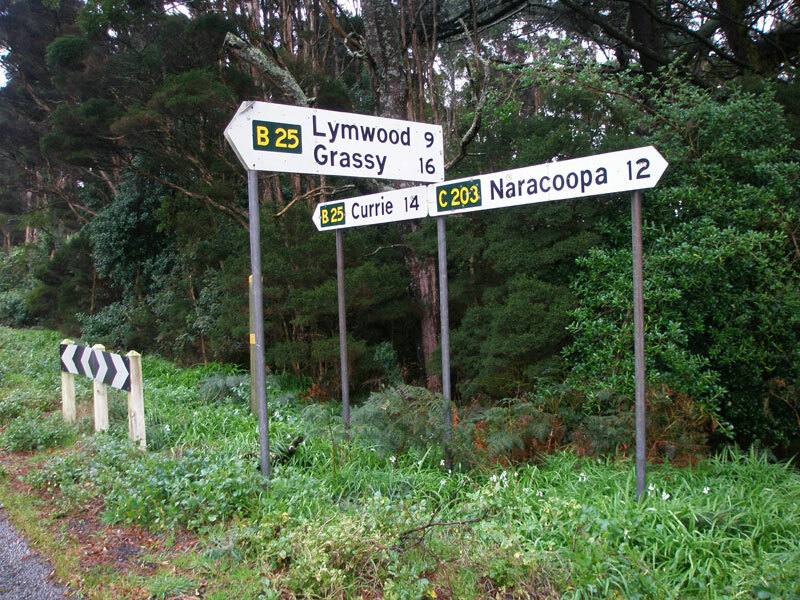 Fingerboard signs at the eastern terminus of C203 in Naracoopa. Source: Peter Renshaw, August 2007. 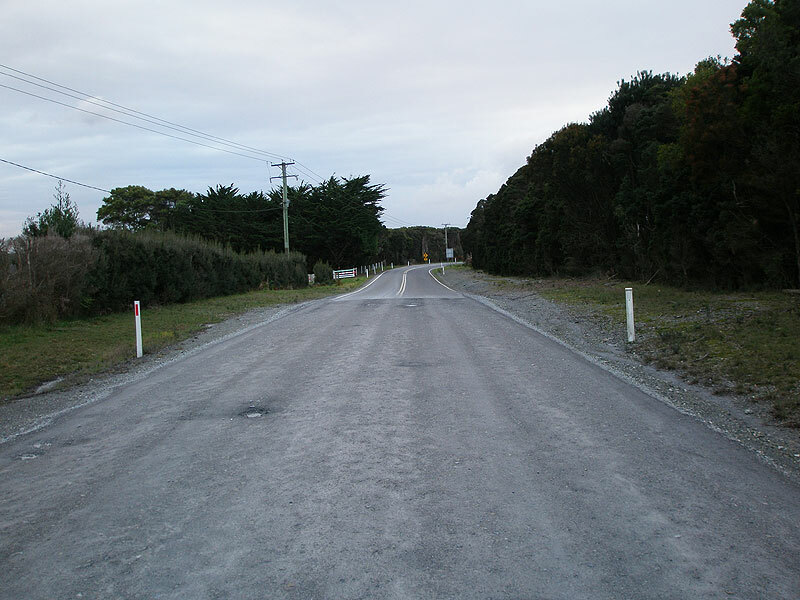 C203 is located on King Island, extending east from King Island Main Rd (B25) to the coastal fishing and tourist village of Naracoopa. 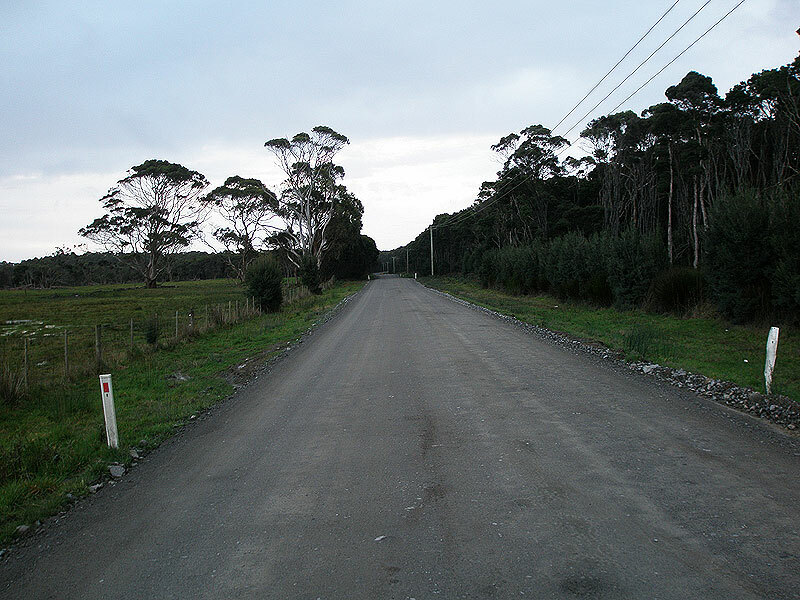 Declared as a Secondary Road, it forms the major access to/from the eastern coast of the Island. A programme for providing a sealed surface is underway and it is anticipated that the final section will be completed by the end of 2008. 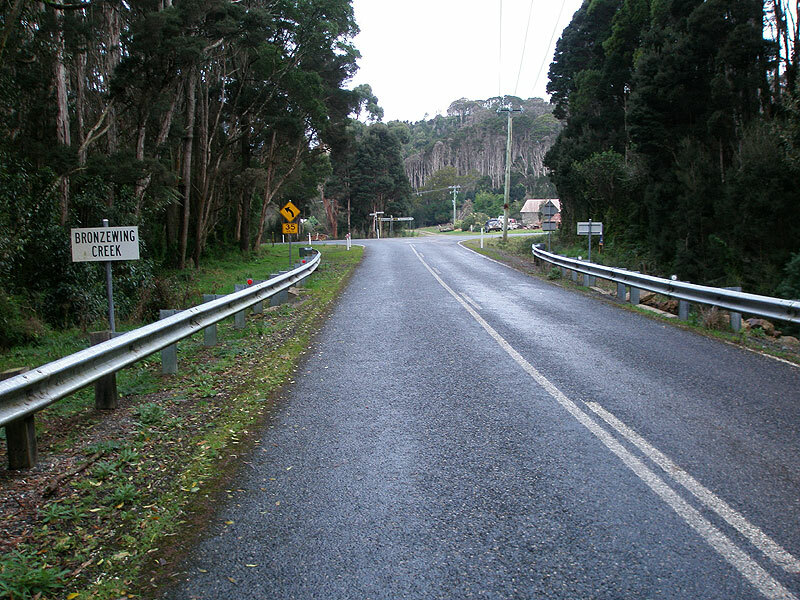 Heading west from Naracoopa, C203 climbs from the coastal plain onto the island plateau with a high standard sealed surface, reverting to a well-maintained gravel surface for 5km through Parenna State Forest. From Parenna to Pegarah the road is sealed, although narrow and without line-marking. 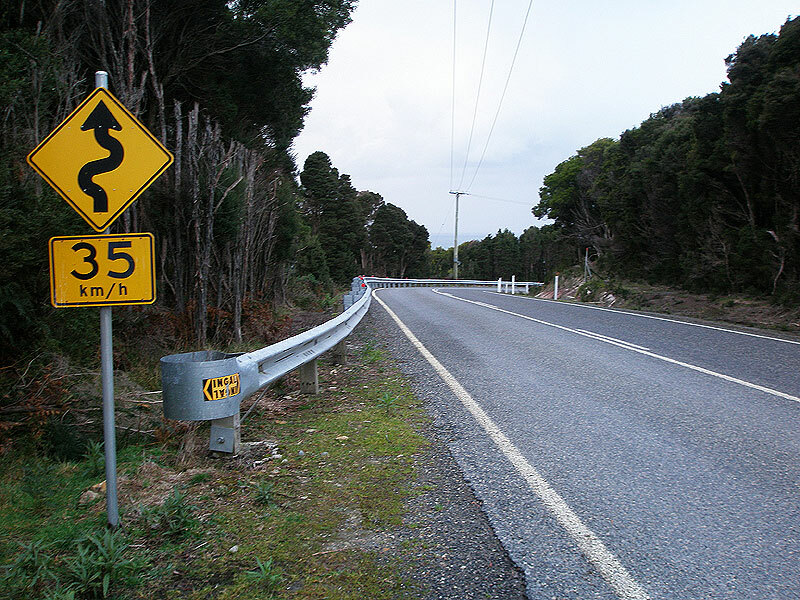 Fingerboard signs at the intersection of King Island Main Rd (B25) & Pegarah Secondary Rd (C203), Pegarah. 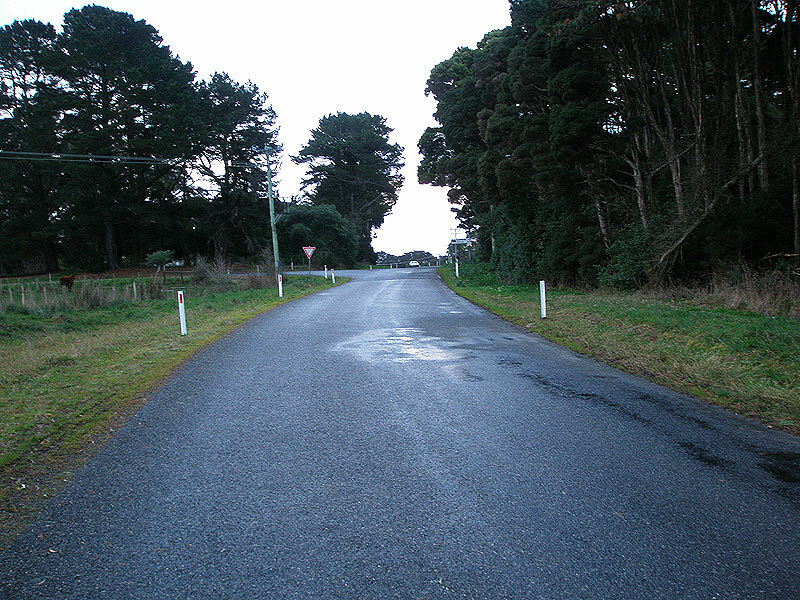 Pegarah Secondary Rd (C203) looking west to the intersection with King Island Main Rd (B25) at Pegarah. 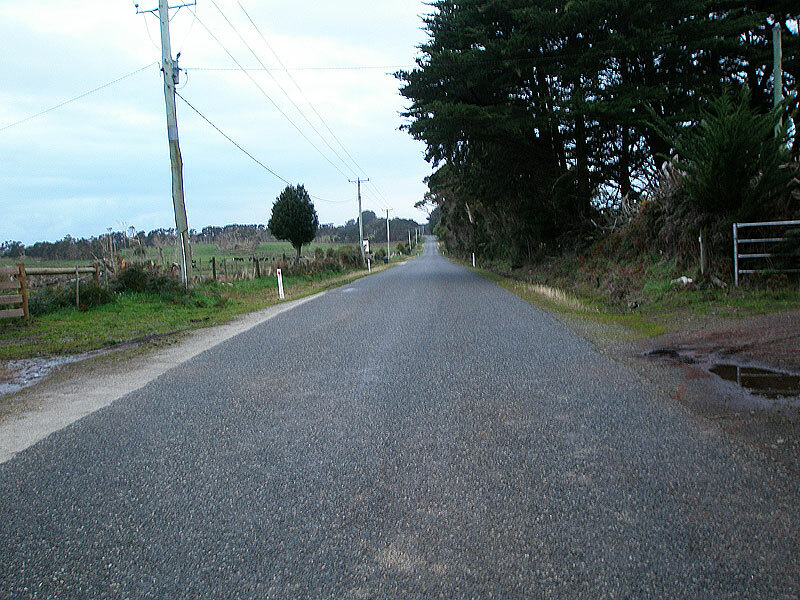 Pegarah Secondary Rd (C203) looking west near Parenna, showing recent sealing work. Unsealed section of Pegarah Secondary Rd (C203) looking west 2km from Naracoopa with Parenna State Forest on the right. Pegarah Secondary Rd (C203) looking east at the western end of the bitumen from Naracoopa. The intersection with Skyline Dr is just around the corner. Pegarah Secondary Rd (C203) looking east as it descends onto the coastal plain at Naracoopa. Pegarah Secondary Rd (C203) looking east on the final approach to Millwood Rd (C202) & Forest Rd (C202), Naracoopa. 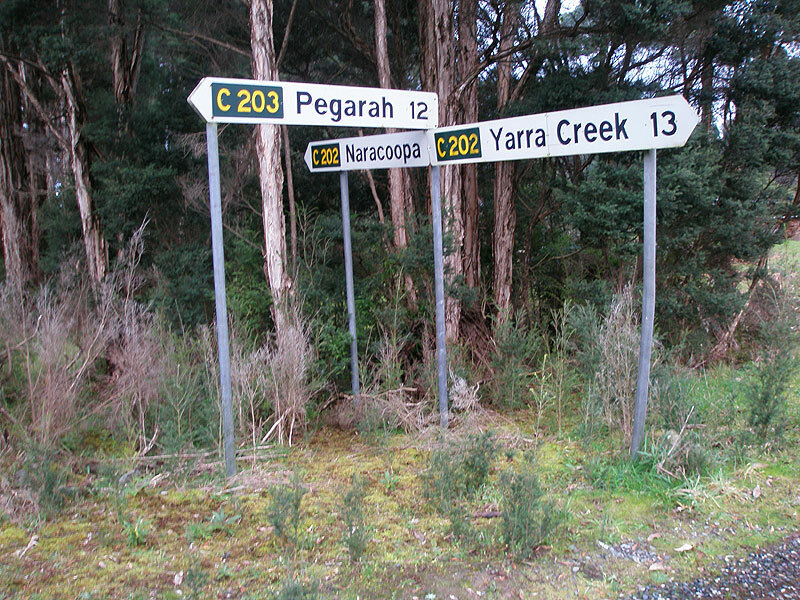 Fingerboard signs at the intersection of Pegarah Secondary Rd (C203) & Millwood Rd (C202) & Forest Rd (C202), Naracoopa.